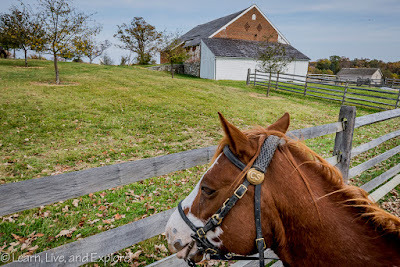 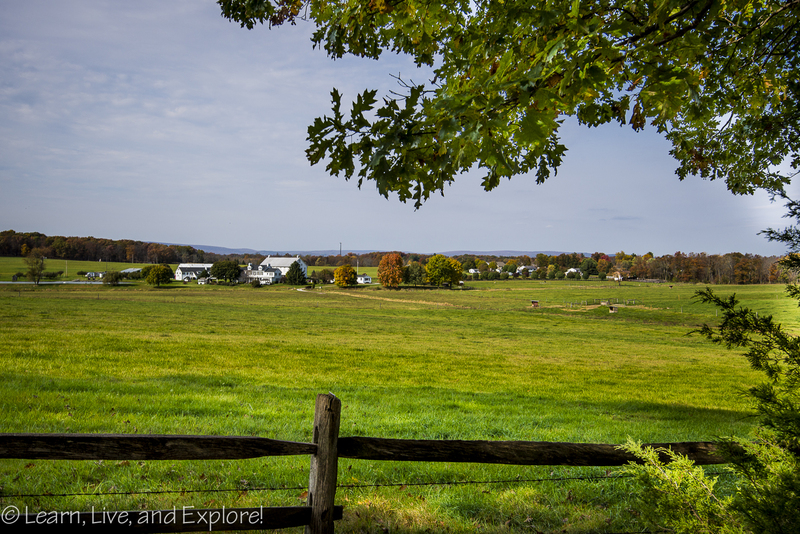 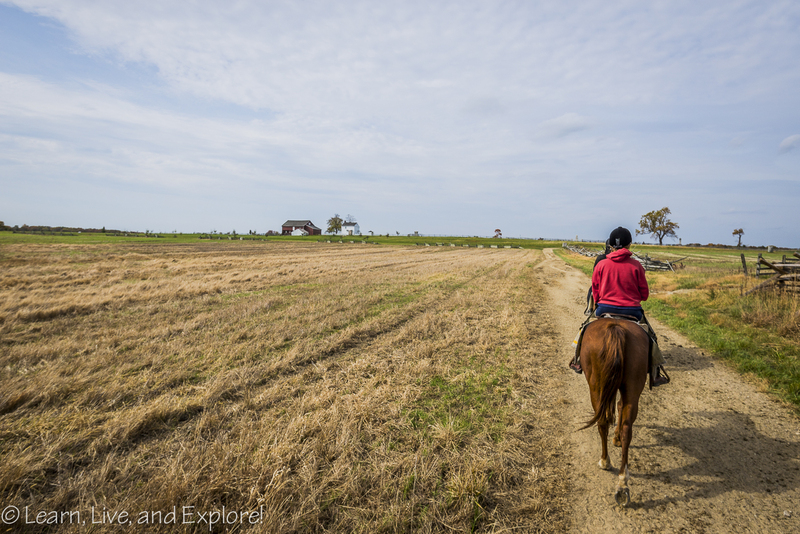 Gettysburg on Horseback - An Alternative Tour ~ Learn, Live, and Explore! 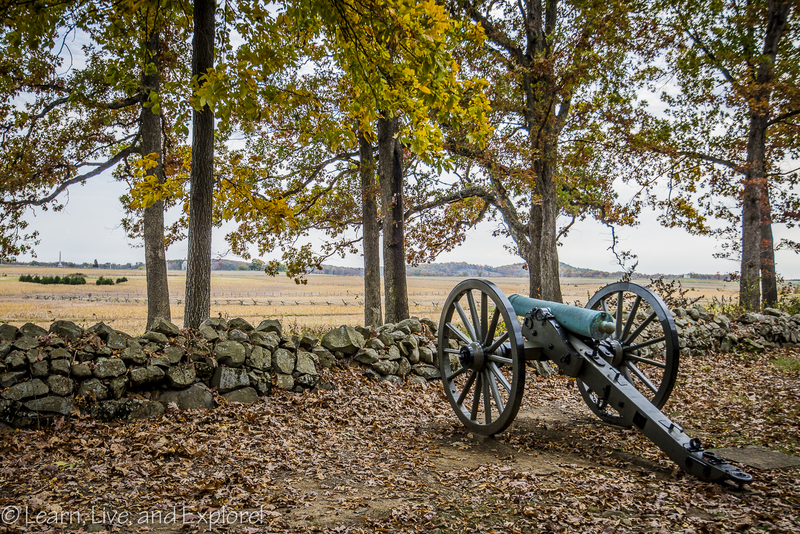 This weekend, my friend and I made the 2 hour drive up to Gettysburg National Battlefield. 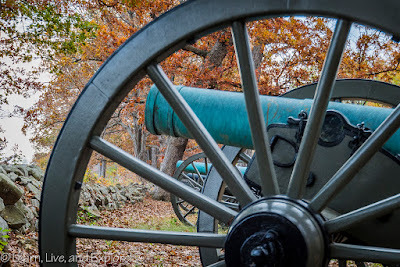 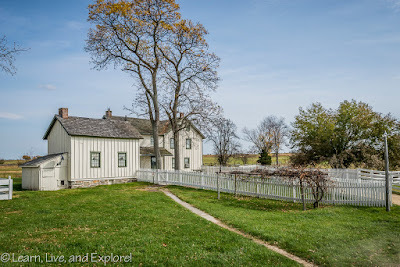 I've been to Gettysburg several times before, and no matter how many tours I take, I find all the details of the famous Civil War battle to be overwhelming. 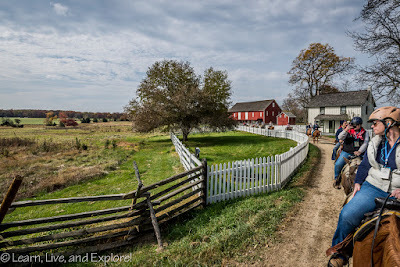 Despite my inability to link together troop movement facts and officer names, I still love to visit and honor America's history. 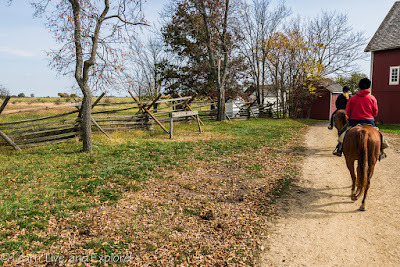 This time, rather than driving the sacred land in my car or on a bus, I opted to see it as those who may have been there July 1-3, 1863 may have seen it - on horseback. 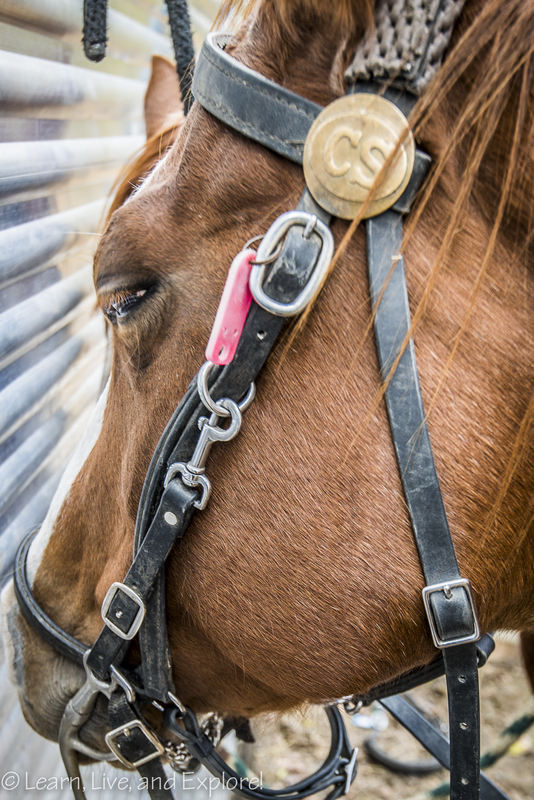 There are a few companies that offer guided horse tours, and we went with Confederate Trails. 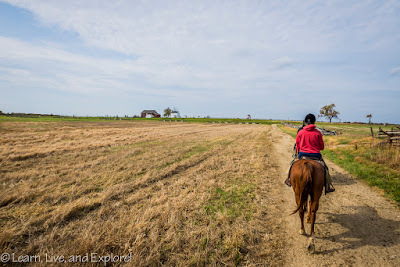 Our group of horse riders was led by an experienced horse guide in front and a second at the end of the line, with the history guide transmitting from the middle of the pack to our individual ear pieces. 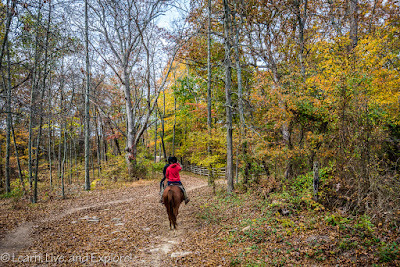 The fall leaves in Pennsylvania were a little past peak color, but still had rich yellows and reds clinging onto the branches. 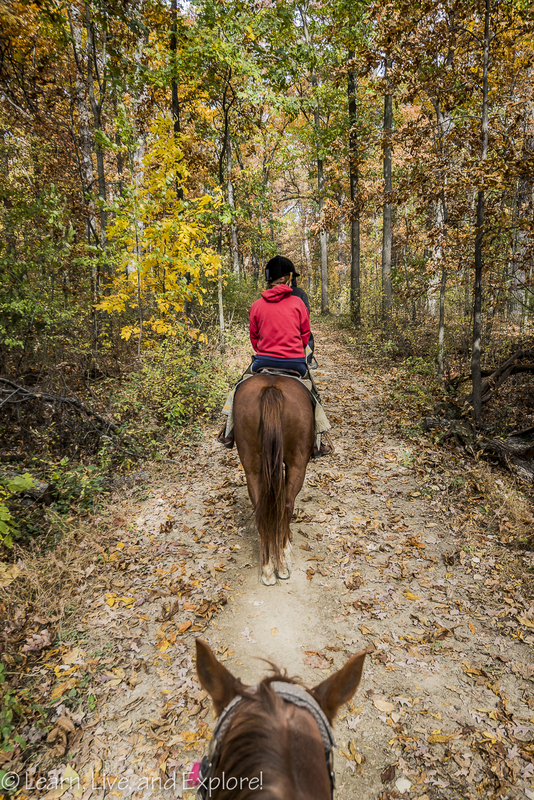 With this backdrop plus the perfect fall weather, the only discomforts I had on the two hour ride were the aches and pains of riding in a saddle when I haven't done it in 25 years! I was definitely not walking normal when I got off that horse, and thankfully the kinks worked themselves out quickly. 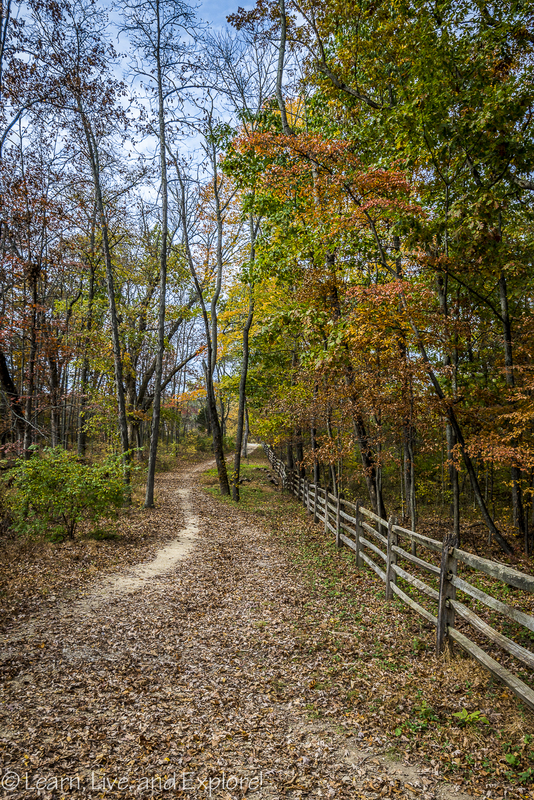 The tour starts in the McMillan Woods Youth Campground. 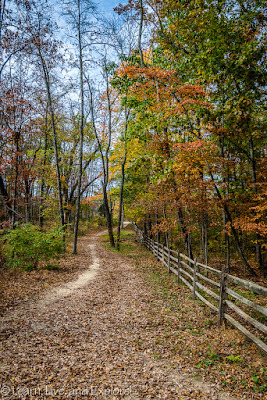 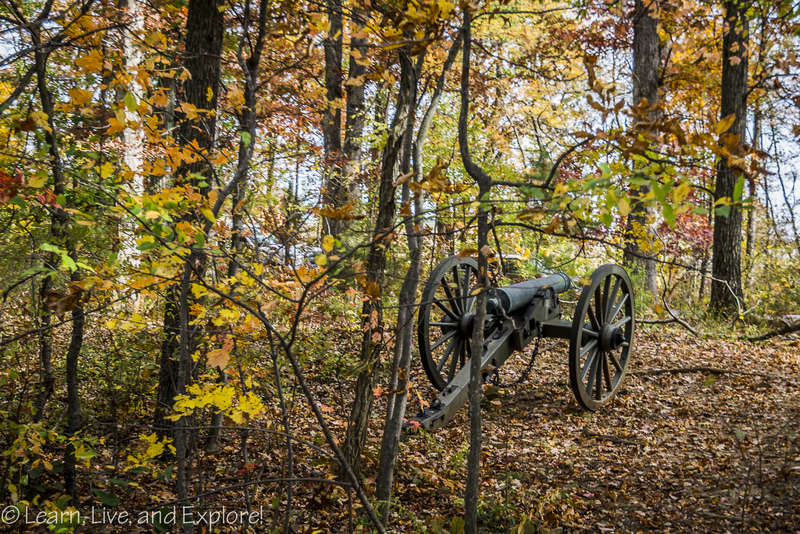 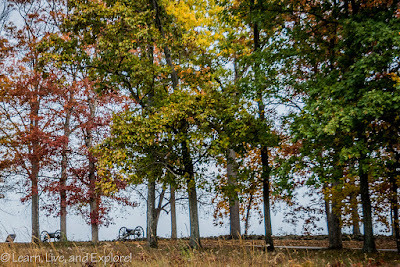 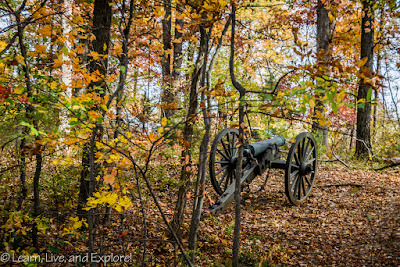 The trail is an out and back journey that covers Seminary Ridge, Pickett's Charge, the Peach Orchard, and the Wheat Field to name a few locations. There wasn't time, at our walking pace, to get to Devil's Den or the base of Little Round Top.